In recent years legal scholars such as John Philip Reid have rediscovered the constitutional discourse of the second half of the eighteenth century. In particular, they have demonstrated that the American colonists had a strong constitutional case against the imperial reformers in London. 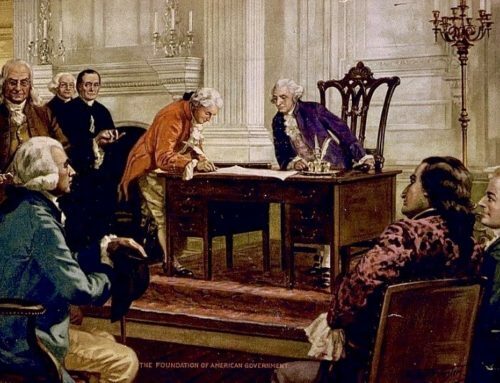 This essay will build upon that scholarship by exploring some of the underlying causes and implications of the constitutional controversy leading to American independence. America and Great Britain were divided by a common discourse and it is therefore fruitful to explore how a common sense of nationality, patriotism, and of higher purpose yielded division rather than consensus. Britons, as Linda Colley points out, regarded their nation as a new Israel, at the right hand of God, doing His work in the world. The divine mission of the British people had an earthly dimension which glorified the rights of Englishmen that were enshrined in the British Constitution, and secured to Britons by the King in Parliament. Or, as John Adams wrote in 1766. “the difference between the [B]ritish Constitution and other Constitutions of Government . . . [is] that Liberty is its End.” Such tributes abounded a mere fifteen years before Americans welcomed Thomas Paine’s polemic against the “Royal Brute of Britain,” and a call for independence. Blackstone wrote during a time of rising nationalism on both sides of the Atlantic. A votary of the British Constitution, his Commentaries were a summa to help lawyers more easily digest and protect it. In his eyes, he merely described the constitutional system that grew out of the revolutionary settlement of 1688. in which the King in Parliament held the sovereign power. “There is and must be,” he wrote, “in all of them [states] a supreme, irresistible, absolute, uncontrolled authority in which the jura summi imperii, or the rights of sovereignty reside. . . By sovereign power, as was before observed is meant the making of laws.” It was simple logic. Law was “that rule of action, which is prescribed by some superior, and which the inferior is bound to obey,” and the sovereign power was that which made the laws. The greatness of the British Constitution, he thought, was the balance it achieved among monarchy, aristocracy, and democracy in law-making by locating sovereignty in the King, Lords, and Commons of the realm. That balance guaranteed liberty under law, and made Great Britain the freest and strongest nation of its age—as the Seven Years War had proved. According to Blackstone’s line of thought, Parliament’s sovereignty, and its consequent right to promulgate 1688’s Declaration of Rights, was the heart of England’s revolutionary heritage, and of her role in providence. By 1763, Blackstone’s Britain was on the march, master of a greatly expanded empire in North America. Many thinkers in London began to contemplate how the government ought to bring that empire into the legal and constitutional framework of the Kingdom, and derive revenue from it. In the 1760s, the term “British Empire” first began to refer to the British polities on both sides of the Atlantic. That linguistic turn suggests that the British polities in America had functioned for nearly a century and a half, greatly benefiting all concerned, without serious attention to explaining the true, rightful nature of the relations between the imperial periphery and the imperial center. It is probably no exaggeration to say that the empire functioned so well for so long precisely because no one had bothered to try to establish a clear relationship between mother country and the colonies. With Royal, Charter, and Proprietary colonies, not to mention all of Canada and a plethora of islands, Parliament feared that its dearly bought empire would rapidly disintegrate unless they brought a clean line of command to its administration. The desire to generate revenue to cover the debt amassed in the late war brought immediacy to efforts at reform. Francis Bernard, Governor of Massachusetts. wrote to his superiors in 1764, “we cannot but be concerned for the stability of a fabric built on so disjointed foundations, and raised to so great a height; and must be convinced that it will require much political skill to secure its duration.” If Britain failed to hold its new empire together, Parliament feared. Canada could be lost, and the Scarlet Whore of Babylon would again threaten North America. 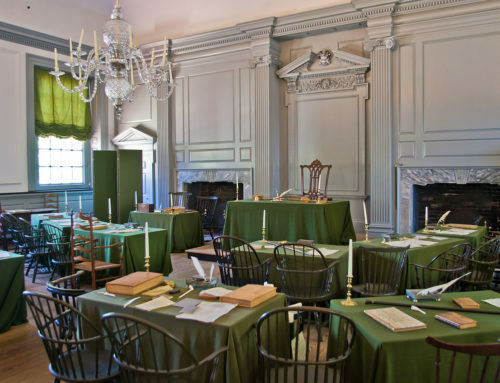 Americans drew upon a different understanding of the British Constitution. Although Blackstone drew strength from his position as a Whig legal theorist, consolidating the gains of 1688, he also represented a revolution in constitutional thought. In the seventeenth century, Edward Coke, the great jurist and parliamentarian, defined and defended the liberties of Britons as something beyond the actions of the King and Parliament. In his way of thinking, Magna Charta was not an Act of Parliament but a constitutional truism: “declaratory of the principle grounds of the fundamental laws of England. Coke thought that the legislature lacked the legitimate power to alter the British Constitution. and that the constitution was an accumulation of legal traditions, developed gradually over time, which rested ultimately on the wisdom of experience, and upon natural law. To him, the power to create fundamental laws belonged only to God and to the common law tradition. He treated sovereignty as a mystical entity, not capable of full, reasoned explication. Unlike Blackstone, for whom law was the command of the (earthly) sovereign, to Coke, law was the formal rules under which people. corporations, and rulers interacted. Americans drew upon Coke’s constitutionalism. 1. This language is taken from Jack P. Greene, Peripheries and Center: Constitutional Development in the Extended Polities of the British Empire and the United States 1607-1788 (New York, 1986). For an argument that parallels the one given here, see Beverly Zweiben, How Blackstone Lost the Colonies: English Law, Colonial Lawyers and the American Revolution (New York, 1990). 2. The best summary of Reid’s work in his Constitutional History of the Amencan Revolution, 4 vols. (Madison, Wisc., 1986-1995). Another seminal piece in this field is Barbara Black’s “The Constitution of the Empire: The Case for the Colonists,” University of Pennsylvania Law Review 124 (1975-76), 1157-1211. Jack P. Green gives a somewhat dated but still useful overview of the recent constitutional literature in his essay, “From the Perspective of the Law: Context and Legitimacy in the Origins of the American Revolution,” South Atlantic Quarterly 85 (1986). 56-77. 6. Eliphalet Williams, A Sermon. Preached at East-Hartford, March 6. 1760. Being the Day of Public Thanksgiving. For the Finally Favourable Appearances of Almighty GOD, in prospering his Majesty’s Arms. . (New London, 1760), 24. In Portsmouth. Samuel Langdon told his parish. “We may also be assured by all which God had done in times past for Protestants, and by the wonderful things which he has lately been doing for Great-Britain and her allies against a grand confederacy of antichristian powers.” And that. “Divine Providence has seem’s to point out Britain from the beginning as a favorite nation.” Joy and Gratitude to God for the Long Life of a Good King. and the Conquest of Quebec. A Sermon Preached in the First Parish of Portsmouth(Portsmouth, 1760), 17, 23. In general. these sermons rely heavily on Old Testament texts, with the obvious implicit comparison of England to Israel. For a specific American reference to the English (or British) Israel. see Samuel Haven, A Sermon Occasioned by the Death of King George the Second, and the Happy Accession of His Majesty King George the Third… (Portsmouth, 1761), 17. 7. Samuel Davies, A Sermon Delivered at Nassau-Hall. January 14, 1761. On the Death of His Late Majesty King George II. . . . (New York, 1761). 10. 8. John Adams, Diary and Autobiography of John Adams (Cambridge, Mass., 1961). I.298. 9. William Blackstone. Commentaries on the Laws of England: A Facsimile of the First Edition of 1765-1769 (Chicago, 1979), 49. 11. Richard Koebner, Empire (Cambridge, Eng.. 1961). 86. 12. As Charles Andrews wrote, “England began her career as the greatest and most prosperous colonizing power that the world has ever known without any fixed policy, in fact, without any idea of what she and her people were doing.” Charles M. Andrews, The Colonial Background of the American Revolution: Four Essays in American Colonial History (New Haven, Conn.. 1924), 5. The imperial government made periodic sallies into colonial reform and organization, but concerns closer to home always kept such efforts from getting very far. 13. Francis Bernard, Select Letters on the Trade and Government of America (London, 1774), 67. This is a set of letters Bernard wrote his superiors on London in 1764. 14. “It was rapidly coming to be understood that the British constitution was whatever parliament said it was. That maxim had not yet been generally accepted.” John Philip Reid. ed., The Briefs of the American Revolution: Constitutional Arguments Between Thomas Hutchinson, Governor of Massachusetts Bay, and James Bowdon, for the Council and John Adams for the House of Representatives (New York, 1981). 51. 15. Andrews, The Colonial Background, 154. 16. J.C.D. Clark, The Language of Liberty 1660-1732: Political Discourse and Social Dynamics in the Anglo-American World (Cambridge. Eng., 1994), 61. 17. To King George’s subjects in Great Briton, refusal to pay taxes was rank ingratitude. Richard Bushman quotes an essayist in the London Chronicle (1/28/1766) who wrote. “I am equally grieved and surprised at the waywardness and ingratitude of the Americans.” in Bushman. King and People in Provincial Massachusetts (Chapel Hill. 1992), 34. Thomas Hutchinson saw colonial living as a temporary status open to all Englishmen, and argued that colonists need only return to Great Britain to exercise their right to vote for those who would tax them. Reid, ed. Briefs, 19. 18. Coke’s Institutes in Thomas C. Grey. “Origins of the Unwritten Constitution: Fundamental Law and American Revolutionary Thought.” Stanford Law Review 30 (1978), 852. 19. For most of his career. Coke emphasized the common law underlying English government, but in his ruling in Calvin’s Case, Coke also drew on natural law. American Whigs of the 1760s and 1770s drew heavily on both lines of Coke’s thought. See The Reports of Sir Edward Coke, Knt. in English. In Thirteen Parts Complete; with References to All the Ancient and Modern Books of Law (Dublin, 1793), IV, 1-56. Reid emphasizes the common law arguments that Americans made. But he points out that “if we look at the arguments of individual writers rather than official petitions and resolutions, natural law is the source most clearly identified as an authority.” Constitutional History, 1,11. He does not explain why historians ought to regard such petitions as normative in the study of what was ultimately a popular uprising. 20. Coke played on the tension between the inherent limits of all earthly power and the duty of subjects to obey the legitimate authority. Blackstone undermined that balance. In Calvin’s Case, Coke wrote, “Concerning ligeance: 1. That ligeance or obedience of the subject to the Sovereign is due by the law of nature: 2. That this law of nature is part of the laws of England: 3. That the law of nature was before any judicial or municipal law in the world: 4. That the law of nature is immutable, and cannot be changed.” Coke, Reports, part VII. p.8. 21. Thomas Pownall, Administration of the Colonies, 2nd ed. (London, 1765). 89. 22. Reid, ed.. Briefs, 36-37. 23. Charles Hyneman and Donald Lutz, eds., Britannus Anwricanus. in American Political Writing During the Founding Era, 2 vols., (Indianapolis, 1983), I,89. 24. David Lovejoy’s The Glorious Revolution in America (New York, 1974), suggests that political necessity was part of the reason for the direction of American constitutional discourse in the eighteenth century. From 1688 onwards, Anglo-Americans sought to secure for themselves the same rights enjoyed by His Majesty’s subjects in London. The only way to do that was to draw upon Coke’s constitutionalism, which allowed them to hold that the Glorious Revolution was the triumph of English liberties in all of His Majesty’s dominions. rather than merely the placing of the King under Parliament. Clark indicates that the differing constitutional doctrines between the imperial periphery and center grew out of the differing religions of the residents of the mother country and of the colonies. The overwhelming majority of Englishmen were Anglican, and the vast majority of Americans were dissenters in religion. He makes a strong case. but this essay shows that the imperial dimension of constitutional discourse also made a constitutionalism closer to Coke than Blackstone a necessity for Anglo-America to resolve its place in British empire with its liberties. Such an explanation also is more compatible with the strong Anglican leadership of the revolutionary movement in the colonial South. 25. Reid, ed., Briefs. 20. 27. References to the “dependence” or “subordination” abounded in the literature that Anglo-American Whigs found repugnant. Pownall, Bernard and the bulk of the rest of the imperial reformers who were taken seriously in London instinctively referred to the colonies as “dependencies” of the Crown. See Pownall quoted earlier, and Bernard, Select Letters, 67. 28. In a notorious set of letters to his superiors in London in 1769, Thomas Hutchinson argued that a diminution of colonial liberties was necessary to keep the empire together. These letters came into the hands Massachusetts Whigs. See Copy of Letters Sent to Great-Britain, by His Excellency Thomas Hutchinson, the Hon. Andrew Oliver. and Several Other Persons, Born and Educated Among Us (Boston, 1773). Governor Bernard made the same point in the letters cited earlier. 30. Greene, Peripheries and Center, 68. 31. 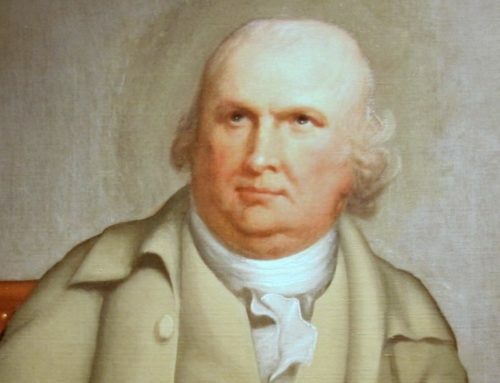 In the Liberty case, John Adams complained of “the contrast that stares us in the Face! The Parliament in one Clause guarding the People of the Realm, and securing to the Benefit of Tryal by the Law of the Land, and by the next Clause, depriving all Americans of that Privilege. What shall we say to this Distinction? Is there not in this Clause, a Brand of Infamy. of Degradation, and Disgrace. fixed upon every American? Is he not degraded below the Rank of an Englishman?” See Legal Papers of John Adams, (Cambridge. Mass., 1965) II,200. See also, David Lovejoy. “Rights Imply Equality: The Case Against Admiralty Jurisdiction,” William and Mary Quarterly,3rd ser. 16 (1959), 459-84. 32. “The Irrelevance of the Declaration.” in Hedrik Hartog. ed., Law and the Revolution in the Law: A Collection of Review Essays on American Legal History (New York. 1981), 46-89. Dr. Richard Samuelson is assistant professor of history at California State University, San Bernardino.